N. C. Chatterjee (father of former Lok Sabha speaker Somnath Chatterjee), in a tribute to Tagore has said, "What Goethe was to Germany, what Wordsworth was to England, what Walt Whitman was to America, that Tagore is to India." 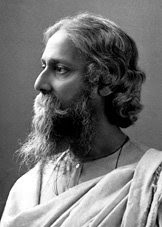 However, it is often the case that the world, while assessing Rabindranth Tagore, appreciates his greatness as a poet-philosopher, but generally neglects the other, equally important, facets of Tagore's colourful personality. Nirad Chaudhuri's comment is rather apt in this context: "It is the easiest thing to become engrossed in the poet at the expense of the man. That would be a grievous error because - to put the most obvious objection first - Tagore is many things as good or nearly as good as a great poet." 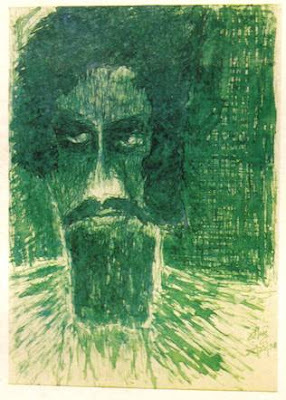 While the creative writing of Tagore has moulded the cultural sensibilities of post-independence India, his journalistic writings, dealing with the burning issues of the day, helped mobilize public opinion and formulated the social concerns of the masses subjugated under the colonial rule. These writings bring out the various facets of Tagore's personality. 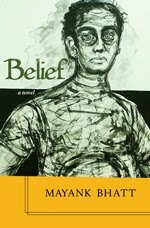 Tagore as a journalist was equally, if not more, effective as was Tagore the poet, novelist or essayist. Since the time his first poem appeared in 1875 (when he was just 13), Tagore continued to contribute to various newspapers and journals. And during his 80-year life span, he was actively associated with seven journals which he edited at different times. Before he reached his twenties, he was already a major contributor to Bharati (edited by his brother Dwijendranath Tagore). These contributions included not only poems, essays and literary criticisms, notably one on Michael Madhusudan Dutt's Meghnadbadha Kabya, but also articles on such exotic topics as 'English manners', 'The Anglo-Saxons and Anglo-Saxon literature'. After his first visit to London (in 1878), he wrote a series of letters recording his impressions of England and the English people. These were serialized in Bharati, with an editor's footnote. Evidently, the sensitive mind of young Tagore could not tolerate the racial bigotry of the English and this found clear expression in his writings. Ten years later, these letters were published in the book Diary of a Traveller. Tagore's anger at his experiences in in Britian couldn't be hidden. He wrote, "The pride of unrestrained power affects the very foundation of the national character. It sullies the purity of that love of freedom on which alone can national glory be found. That is why one hears the Englishman at home saying that the Englishman in India is a race apart; the reason for it is not damaged liver but also to certain other more elevated human organs." Tagore's acerbic pen ruffled many feathers. Of these, the most famous involved Bankim Chandra. He entered into a protracted debate on Hinduism with Bankim Chandra. The protracted debate ended in the great novelist writing a most generous letter of appreciation to Tagore for his polemical abilities. In 1890, along with his cousin Sudhindranath, Tagore brought out a new Bengali monthly magazine - Sadhana. The magazine lasted for five years and folded up in 1895, after the birth of Tagore's last son, which made it impossible for him to devote enough time for editorial responsibilities.